It may be useful in approaching an ancient Scripture, such as the Veda, Upanishads or Gita, to indicate precisely the spirit in which we approach it and what exactly we think we may derive from it that is of value to humanity and its future. 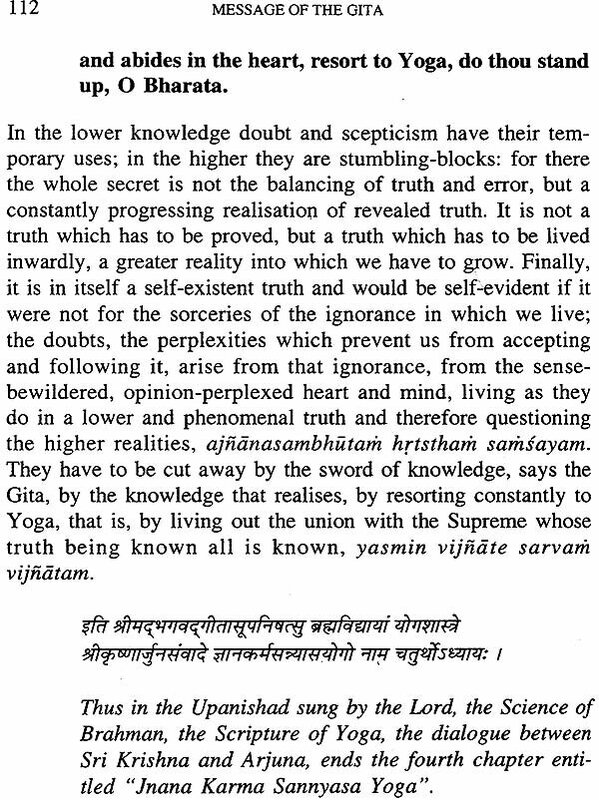 First of all, there is undoubtedly a Truth one and eternal which we are seeking, from which all other truth derives, by the light of which all other truth finds its right place, explanation and relation to the scheme of knowledge. But precisely for that reason it cannot be shut up in a single trenchant formula, it is not likely to be found in its entirety or in all its bearings in any single philosophy or Scripture or uttered altogether and for ever by anyone teacher, thinker, prophet or Avatar. Nor has it been wholly found by us if our view of it necessitates the intolerant exclusion of the truth underlying other systems; for when we reject passionately, we mean simply that we cannot appreciate and explain. Secondly, this Truth, though it is one and eternal, expresses itself in Time and through the mind of man; therefore every Scripture must necessarily contain two elements, one temporary, perishable, belonging to the ideas of the period and country in which it was produced, the other eternal and imperishable and applicable in all ages and countries. 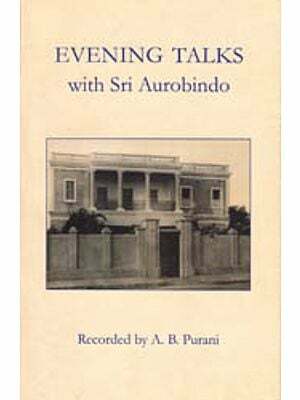 Moreover, in the statement of the Truth the actual form given to it, the system and arrangement, the metaphysical and intellectual mould, the precise expression used must be largely subject to the mutations of Time and cease to have the same force; for the human intellect modifies itself always; continually dividing and putting together it is obliged to shift its divisions continually and to re-arrange its syntheses; it is always leaving old expression and symbol for new or, if it uses the old, it so changes its connotation or at least its exact content and association that we can never be quite sure of understanding an ancient book of this kind precisely in the sense and spirit it bore to its contemporaries. What is of entirely permanent value is that which besides being universal has been experienced, lived and seen with a higher than the intellectual vision. 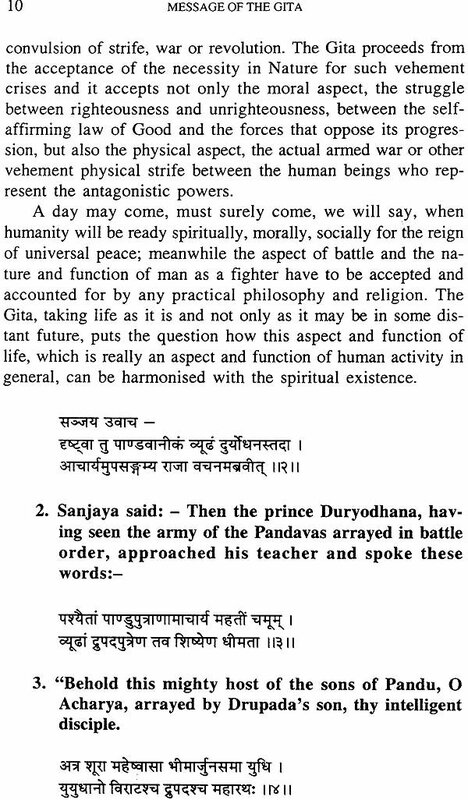 We hold it therefore of small importance to extract from the Gita its exact metaphysical connotation as it was understood by the men of the time, - even if that were accurately possible. 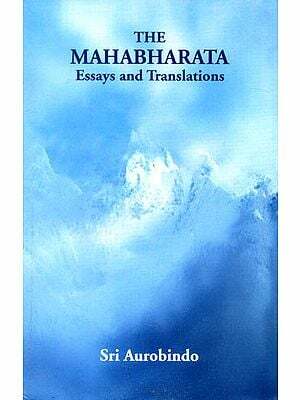 That it is not possible, is shown by the divergence of the original commentaries which have been and are still being written upon it; for they all agree in each disagreeing with all the others, each finds in the Gita its own system of metaphysics and trend of religious thought. Nor will even the most painstaking and disinterested scholarship and the most luminous theories of the historical development of Indian philosophy save us from inevitable error. 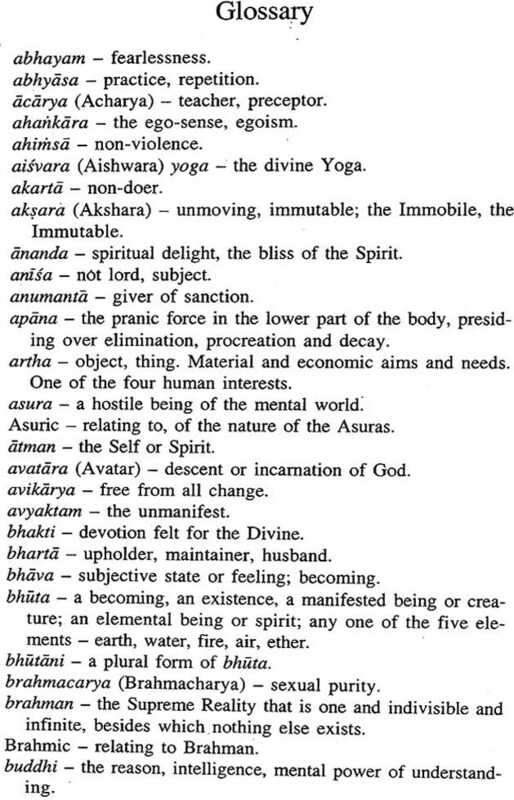 But what we can do with profit is to seek in the Gita for the actual living truths it contains, apart from their metaphysical form, to extract from it what can help us or the world at large and to put it in the most natural and vital form and expression we can find that will be suitable to the mentality and helpful to the spiritual needs of our present day humanity. No doubt in this attempt we may mix a good deal of error born of our own individuality and of the ideas in which we live, as did greater men before us, but if we steep ourselves in the spirit of this great Scripture and, above all, if we have tried to live in that spirit, we may be sure of finding in it as much real truth as we are capable of receiving as well as the spiritual influence and actual help that, personally, we were intended to derive from it. And that is after all what Scriptures were written to give; the rest is academicals disputation or theological dogma. Only those Scriptures, religions, philosophies which can be thus constantly renewed, relived, their stuff of permanent truth constantly reshaped and developed in the inner thought and spiritual experience of a developing humanity, continue to be of living importance to mankind. The rest remain as monuments of the past, but have no actual force or vital impulse for the future. 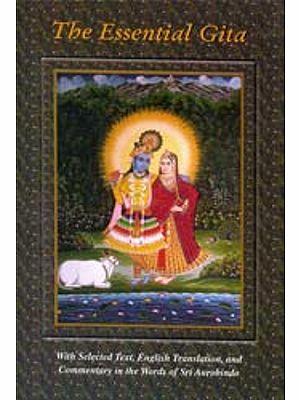 The thought of the Gita is not pure Monism although it sees in one unchanging, pure, eternal Self the foundation of all cosmic existence, nor Mayavada although it speaks of the Maya of the three modes of Prakriti omnipresent in the created world; nor is it qualified Monism although it places in the One his eternal supreme Prakriti manifested in the form of the Jiva and lays most stress on dwelling in God rather than dissolution as the supreme state of spiritual consciousness; nor is it Sankhya although it explains the created world by the double principle of Purusha and Prakriti; nor is it Vaishnava Theism although it presents to us Krishna, who is the Avatar of Vishnu according to the Puranas, as the supreme Deity and allows no essential difference nor any actual superiority of the status of the indefinable relation less Brahman over that of this Lord of beings who is the Master of the universe and the Friend of all creatures. 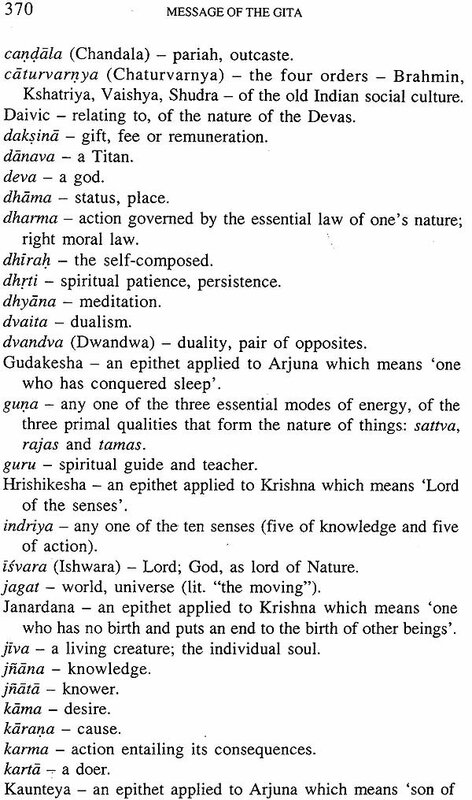 Like the earlier spiritual synthesis of the Upanishads this later synthesis at once spiritual and intellectual avoids naturally every such rigid determination as would injure its universal comprehensiveness. 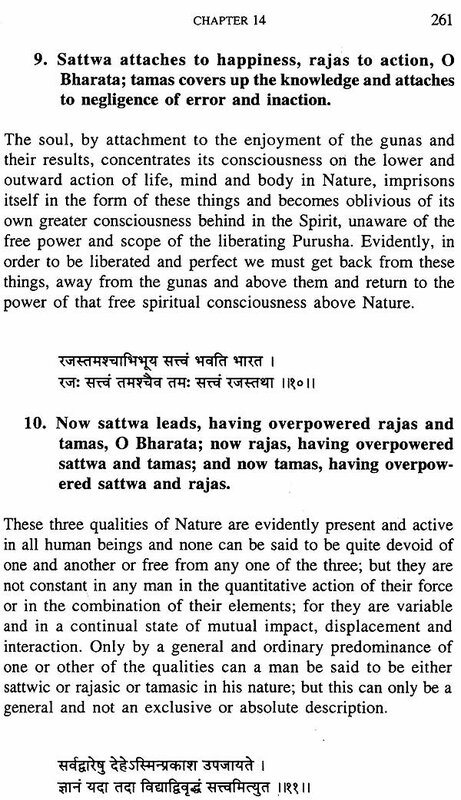 Its aim is precisely the opposite to that of the polemist commentators who found this Scripture established as one of the three highest Vedantic authorities and attempted to turn it into a weapon of offence and defence against other schools and systems. 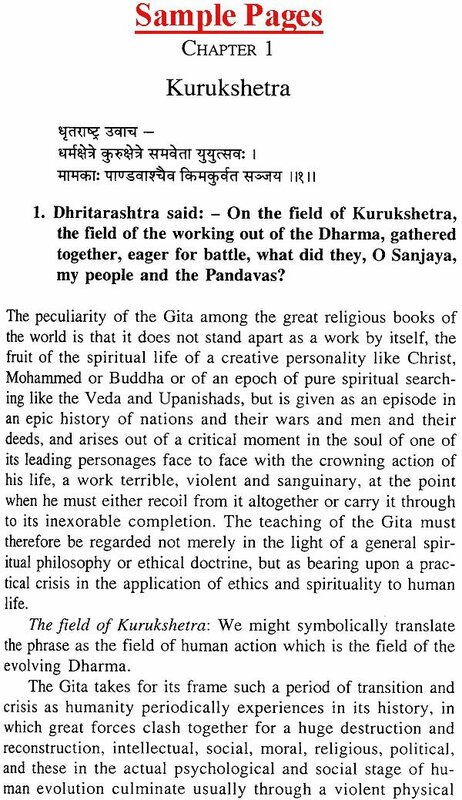 The Gita is not a weapon for dialectical warfare; it is a gate opening on the whole world of spiritual truth and experience and the view it gives us embraces all the provinces of that supreme region. It maps out, but it does not cut up or build walls or hedges to confine our vision.